Author: Corsaro, Frank Set In . . . The myths and legends of the Tibetan Book of the Dead come alive in this brilliant first novel by the world-renowned director of stage and opera. Laurel Hunt walked into the office of David Sussman enveloped in a grave beauty that took his breath away. And then she announced that her husband, who was currently in a mental institution, was not crazy but in the grip of something monstrous. Dr. Sussman had ministered to his patients' fantasies, neuroses, and psychoses for a good number of years; he'd studied in India and Tibet; he'd seen and heard it all before. Or so he thought. This case would take him, against his will and in the face of every scientific law he held dear, into the realms of reincarnation and Buddhist myth. But these realms were not the bottom of this mystic enigma-only in the Tibetan Book of the Dead would David Sussman begin to find the answers he sought. As murder and madness stalk him, the evidence leads David to a conclusion his sanity refuses to accept . 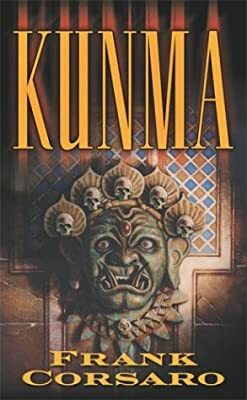 . . until the mists of Time and Space open to reveal the monstrosity that has come to claim him as its own-the Kunma. A stunning first novel that takes the reader deep into the unknown regions of mind and soul and into the very heart of the darkness that lives in every human being.